CatWatch is an extraordinary monthly newsletter to which you can subscribe or receive free of charge by being a member of Cornell's Feline Health Center. Every issue will bring you information to sustain your cat's vitality, protect her health, calm her fears, nourish her curiosity and fortify her wellness. It is devoted to cats, and those of us caring for them. CatWatch provides cat lovers with up-to-date information on a variety of feline health issues. With contributions from experts across a broad spectrum of disciplines ranging from dermatology to internal medicine and behavior, CatWatch is a fun and informative way to keep up-to-date on current issues affecting feline welfare. Resident feline columnist, Elizabeth answers questions sent in by readers and provides update on upcoming feline events. 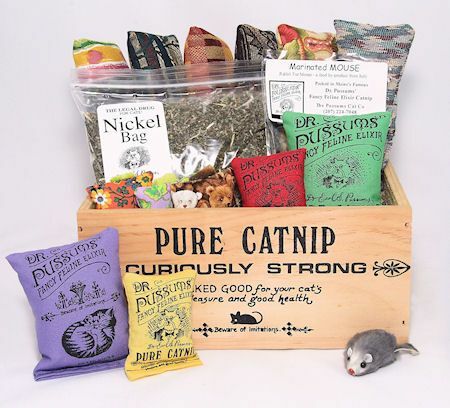 No advertising is accepted therefore, their editors are free to make candid, unbiased and uncompromising evaluation of the products and services which directly affect your cat's health and longevity.